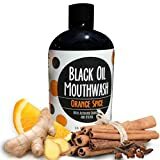 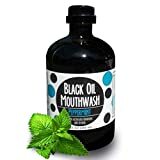 Black Oil Mouthwash 5-Flavor Variety Pack, Peppermint, Chocolate-Mint, Tea Tree Spearmint, Orange Spice,& Strawberry Vanilla, for Oil Pulling, w/Powerful Xylitol & Activated Charcoal. 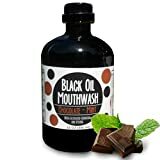 Black Oil Mouthwash, Sweet Chocolate Mint. 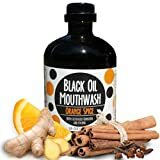 Coconut + Sesame + Avocado Oil Blend, 15 oz Glass Bottle. 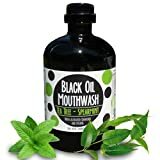 Activated Charcoal & Xylitol for Oil Pulling. 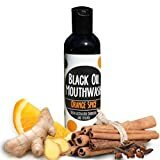 Whitening, bad breath, dry mouth & remineralization.